Long before I even got into the PR game, I’d always heard people say “there’s no such thing as bad publicity.” The theory is that as long as people are talking about you, it’s a good thing. Even if they’re saying awful things about you or your company, the publicity is supposed to still be good because your name is on the top of people’s minds, keeping you relevant. But Kanye is the exception, not the rule. The idea that there’s no such thing as bad publicity is laughable. It’s totally insane. Just ask BP. 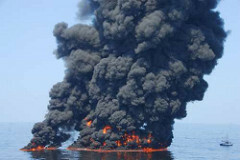 Do you think they enjoyed being in the spotlight for the disastrous oil spill in the Gulf? Do you think they enjoyed having people boycott their fueling stations? Do you think they thought it was cool that there was a BP oil spill Halloween costume? Of course they didn’t. The company took a massive hit thanks to all of the negative publicity. They’ve already spent millions trying to rebuild their image through a PPC campaign, TV commercials, and more. 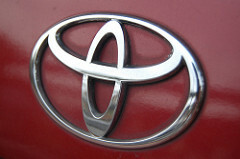 And what about Toyota? How do you think all of those recalls over faulty, dangerous vehicles worked out for them? Last time I checked, their sales were down nearly 10%, and their competitors were making huge gains. Oh, and let’s not forget about Tiger Woods. It’s been exactly one year since his scandal, and the public hasn’t viewed the athlete the same ever since. 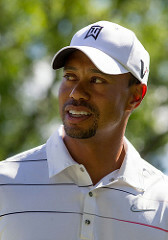 Thanks to the negative publicity, Tiger Woods lost numerous sponsors, including Accenture and AT&T. You think he enjoyed the negative media attention? You think Tiger feels there’s no such thing as bad publicity? I could go on and on with examples of how bad publicity has hurt brands of all sizes, but I think you’re starting to get the point. The truth is there is such a thing as bad publicity. And while all of the brands I mentioned can and likely will eventually recover, the bad publicity they’ve received has done some serious damage for at least the short term and maybe longer. What do you think? 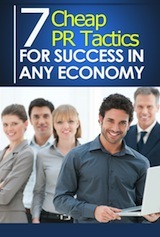 Do you believe that all publicity is good publicity? Why or why not? ABroyles her comment stated it perfect. But that is the point Abroyles, meaning it’s still a myth because it goes both ways, you get stronger or weaker from it. Meaning there is no sure assurance 100% that it will be what you hope. The phrase generally refers to the showbiz and entertainment industry. ITS FAIRLY OBVIOUS THAT other industries are more sensitive to bad PR. Food manufacturers, Restaurants, Security, Mission critical products. This is basic knowledge and clearly obvious. Really? I don’t think it’s so obvious. 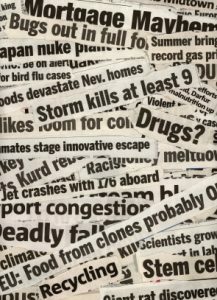 You haven’t researched it well enough this subject, there are nuances and there are situations that are empirically demonstrated that almost ALWAYS bad publicity is effective. One of those situations is if it is a relativelt unknown project that doesn’t have much exposure, and the bad publicity brings them to the light, so the awareness drives traffic and drives up demand. The best example are epic trainwrecks such as the infamous Ecce Homo which ended up as a touristic destination getting millions of euros to the tiny town. Trump is a master of inadvertently being a walking trainwreck which ended up being a very useful empirical proof that shattered the preconceptions of what is important in a political campaign to be successful, the bad publicity overpowered the media and it was free publicity taking over the mindshare of the people.